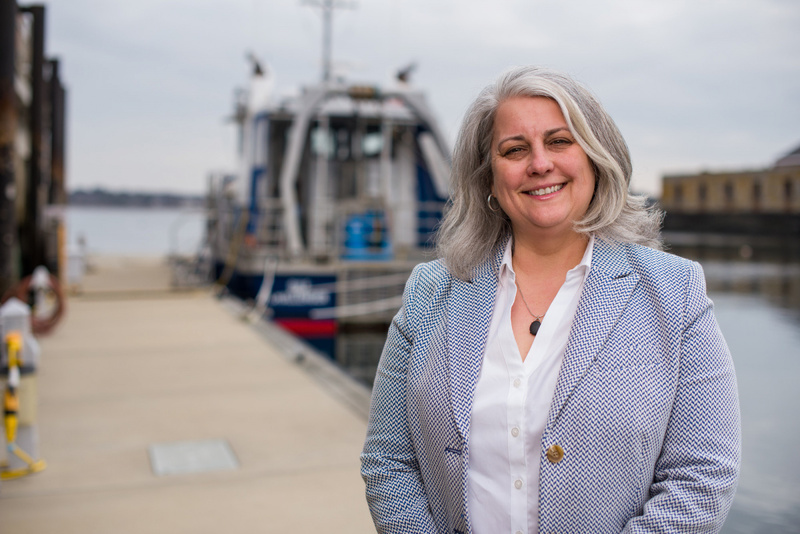 Diane Foster, professor of mechanical and ocean engineering at the University of New Hampshire, has taken the helm of the university’s School of Marine Science and Ocean Engineering (SMSOE) as its new director. DURHAM, N.H.—Diane Foster, professor of mechanical and ocean engineering at the University of New Hampshire, has taken the helm of the university’s School of Marine Science and Ocean Engineering (SMSOE) as it works to advance scientific understanding of the world’s oceans in a rapidly changing climate. Established in 2013, the marine school is UNH’s first “interdisciplinary school,” designed to address today’s highly complex ocean and coastal challenges through integrated graduate education, research and engagement. Combining traditional faculty and program strengths in oceanography, marine biology and ocean engineering with an emerging marine policy focus, the SMSOE provides its students with the scientific underpinnings of these disciplines while training them to contribute to and engage in scientifically-informed policy and resource management. UNH is in the top 10 of all institutions receiving marine-related funding from the National Science Foundation. Currently, more than 70 faculty members teach marine and ocean engineering-related courses to 300 undergraduate and 100 graduate students. UNH research has a regional, national and international impact on all aspects of the marine environment, from protected estuaries to the open ocean, from the seafloor to the atmosphere above, from the water column to the plant and animal life that inhabits it. The School of Marine Studies and Ocean Engineering maintains three specialized facilities—the Judd Gregg Marine Research pier and laboratory facilities in New Castle, the Jackson Estuarine Laboratory on Great Bay in Durham, and the Chase Ocean Engineering Laboratory on the UNH campus in Durham—as well as supports the Shoals Marine Laboratory on Appledore Island and oversees a diverse fleet of research vessels.